Ladies 100% Cotton Velour Terry Bath Wraps in 4 sizes with Velcro closure for easy on, easy off. 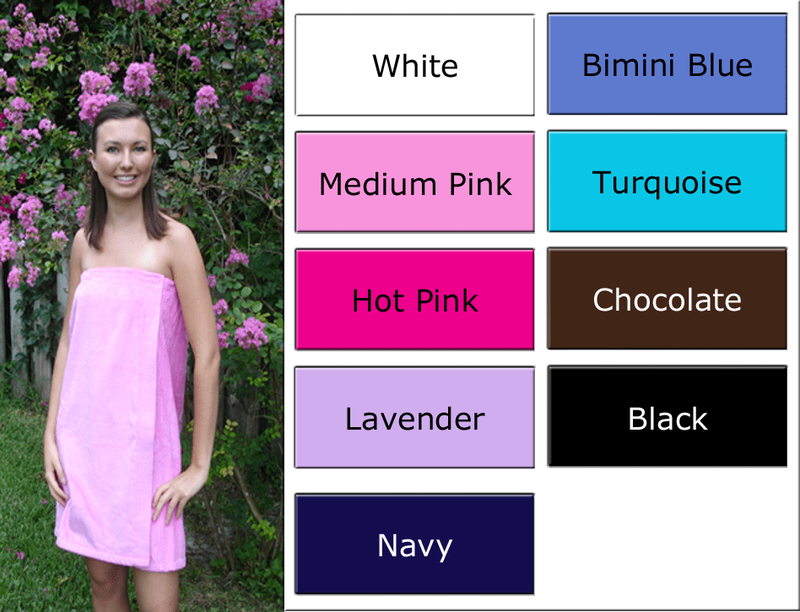 Great cover-up for bath, spa or pool in 100% absorbent, premium, ring-spun velour cotton terry cloth. Soft and Comfortable Ladies Velour Wrap makes your loved one feel like a stuffed animal on the outside and is like a towel on the inside. Made in Turkey or Imported. Sweep* 47 in. 52 in. 55 in. 64 in. Bottom Sweep*: This measurement is at the bottom of the hem for the total width of the bath wrap. Velcro Closure: Please be sure to close the Velcro before washing, so that the Velcro will not catch during washing.